Fans of Little Tug and Chugga-Chugga Choo-Choo will love this lyrical, heartwarming story by Calista Brill, brought to life by Tad Carpenter’s bright and lively illustrations. Perfect for readers who can’t get enough of things that GO! I spent a lot of time hanging out and in the Ohio and Muskingum rivers. In my early teens, I’d walk around the levee and sit staring out at the banks of Williamstown, West Virginia and watch as barges and pull tugs slowly made their way in the water carrying heavy metals and supplies. On one particular day, surrounded by friends, we decided to swim across from the Ohio side to West Virginia. I made it across, but I won’t be telling that story to my kids anytime soon as it was a very stupid thing to do! Luckily, I was able to walk back across from the Williamstown bridge as I most assuredly would have not made it back by swimming. I absolutely loved being around the water and it was fun to see sternwheelers, motor boats, and even kayaks and crew boats braving the sometimes choppy dark waters. I was immediately drawn to the front cover of a new Harpercollins book called Tugboat Bill. Barges and tugboats were a common sight where I grew up and the brilliant colors made it look like a book I could have read from my childhood. Pull tugs and barges aren’t what I would call ‘beautiful’, but they are powerful and useful and you could easily watch them go up and down the rivers for what seemed like hours; weighed down by their heavy weight and might. 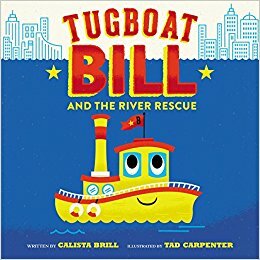 In Tugboat Bill, Bill and his best friend, Mabel the barge, happily go up and down the choppy Hudson river but the other fancier, bigger, and faster ships tease the duo. Bill and Mabel are not vain, but they do not like being called names by these boastful boats. Life might have gone on as usual, until a poor little kitten falls into the water! The other big boats scoff at saving the poor little animal, but Bill and Mabel know exactly what to do to save the day. It’s a beautiful message that looks do not equate to bravery and the old adage that you can’t judge a book – I mean boat – by it’s exterior. About the Author: Originally from Detroit, Michigan, Calista Brill is a writer and editor based in New York City. She writes stories about boats, cats, dragons, construction equipment, elephants, and many other things. She likes reading comic books, sewing quilts, and eating lime Popsicles. 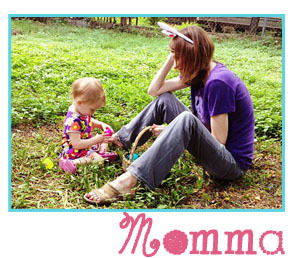 About the Illustrator: Tad Carpenter is a designer, illustrator, teacher, and author. He has written and illustrated over a dozen books for readers of all ages. Tad runs his design and branding studio, Carpenter Collective, with his wife, Jessica, in Kansas City, Missouri. Visit him online at tadcarpenter.com.